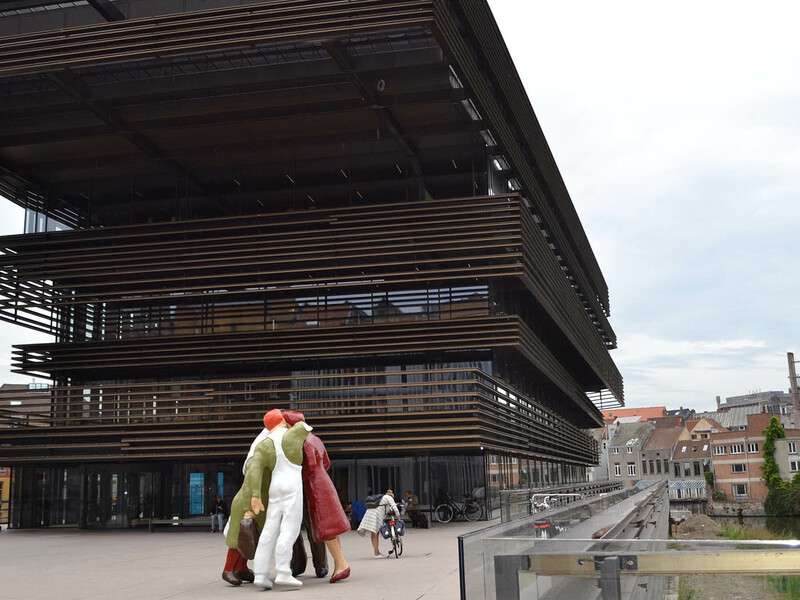 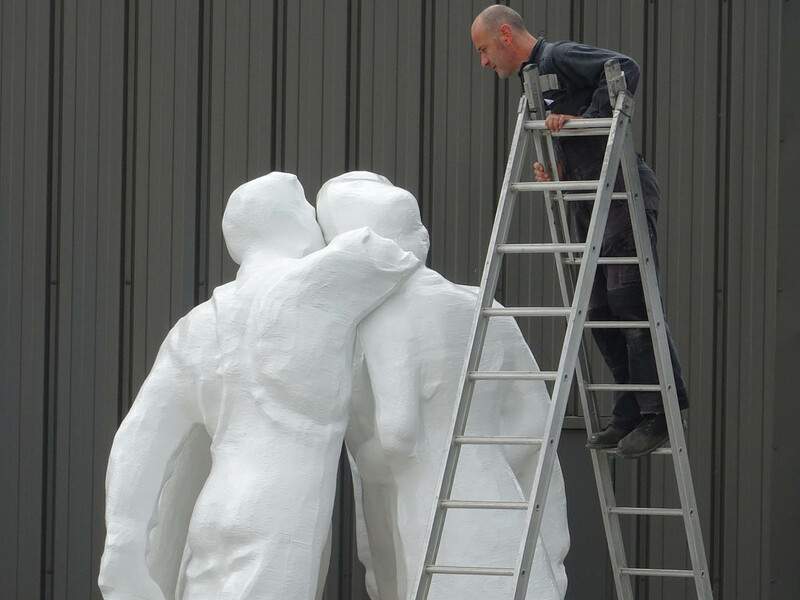 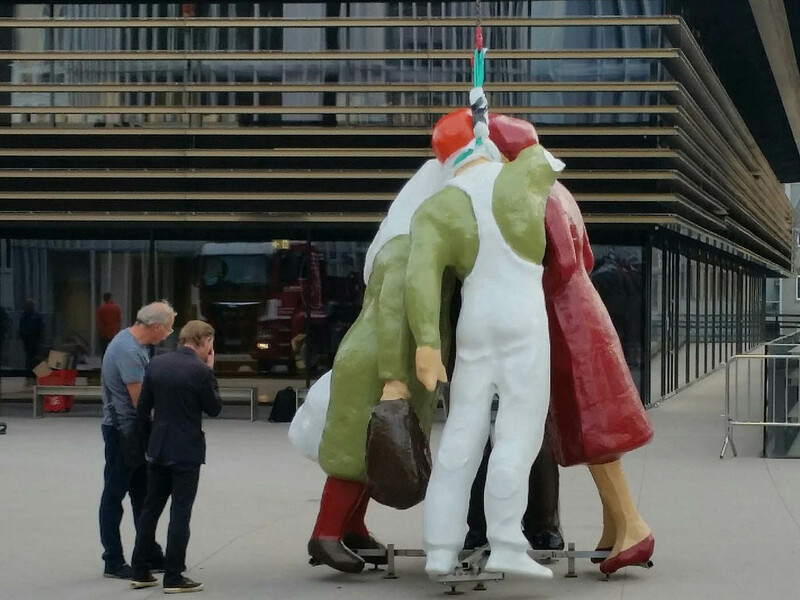 “De Passanten” (the passers by) is a monumental sculpture at the entrance of the new De Crook library in Ghent. 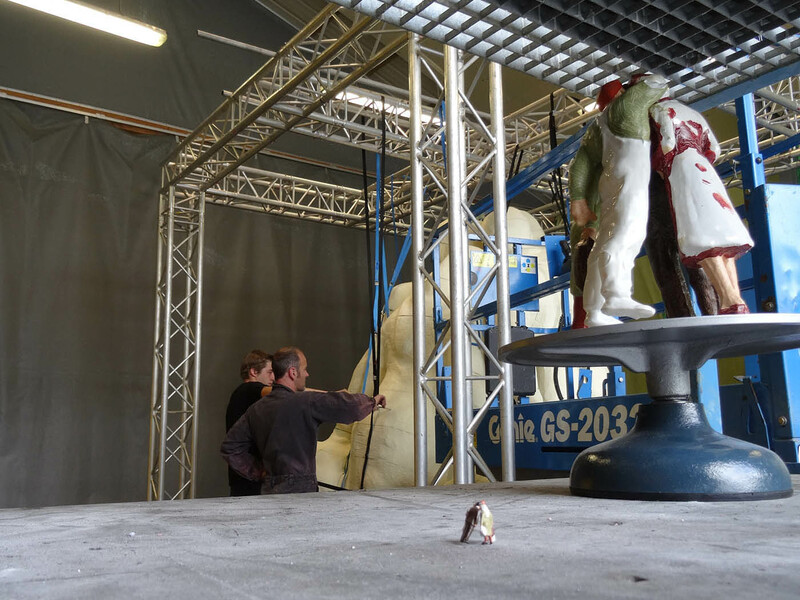 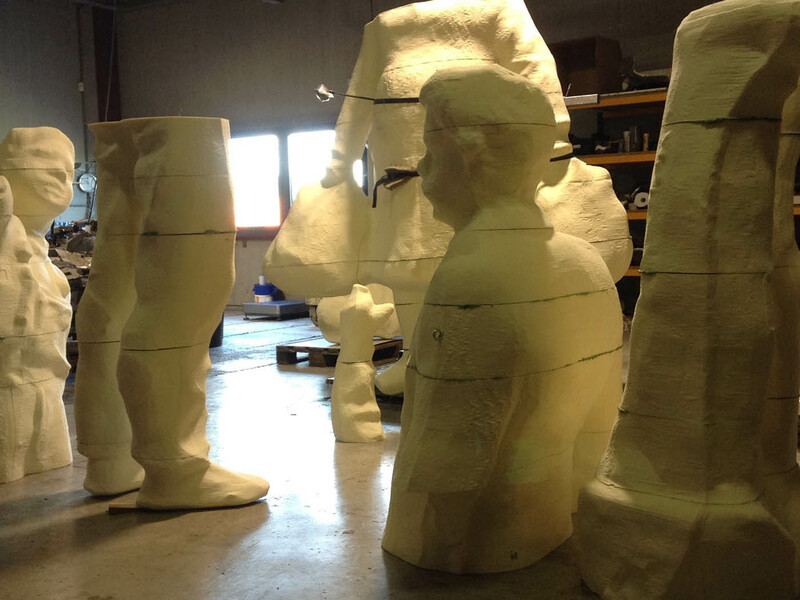 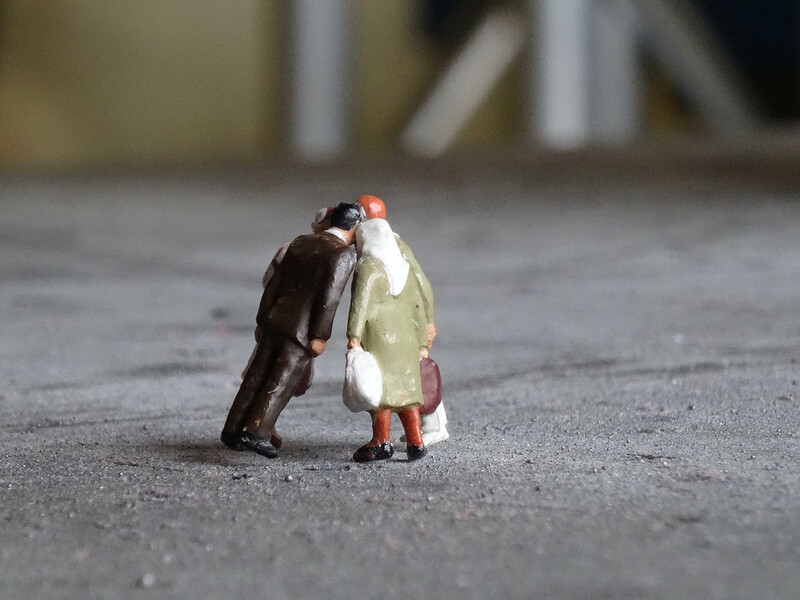 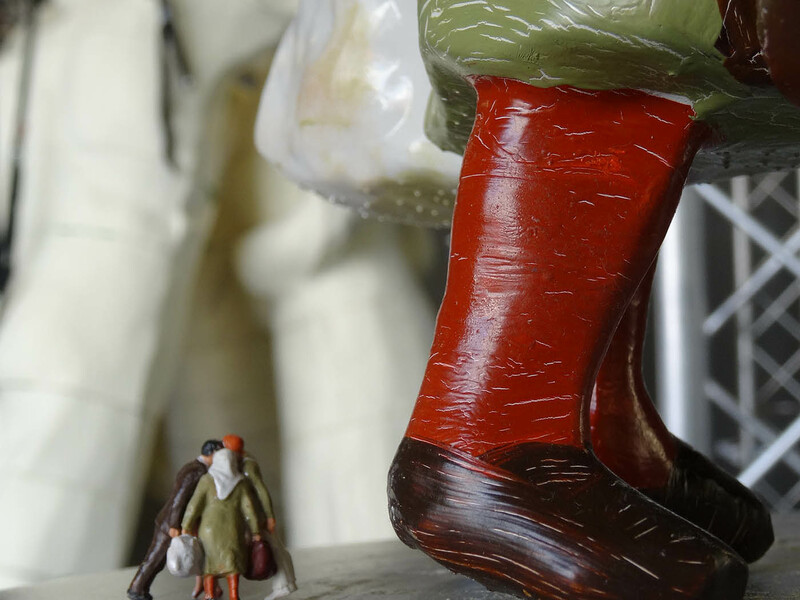 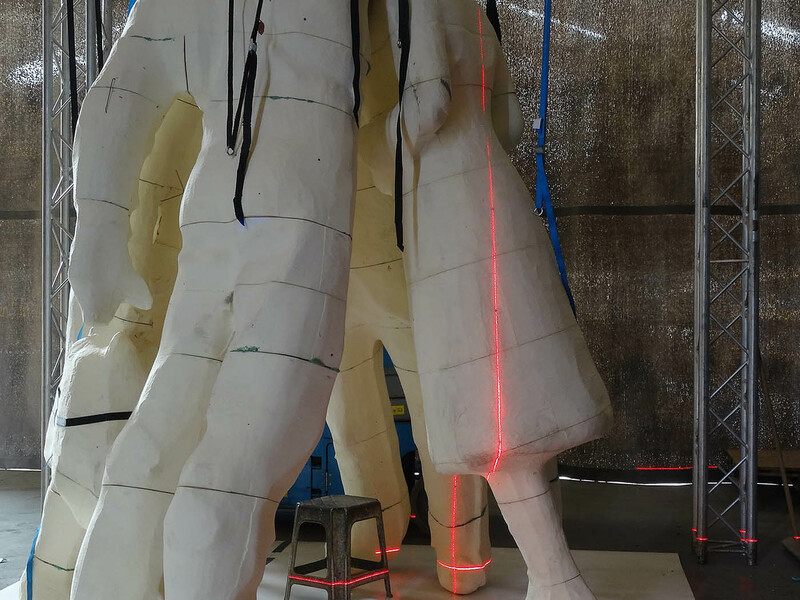 Art Casting scanned the original four architectural figurines, a few centimetres tall, and produced a digital enlargement and 3D print 30 cm high. 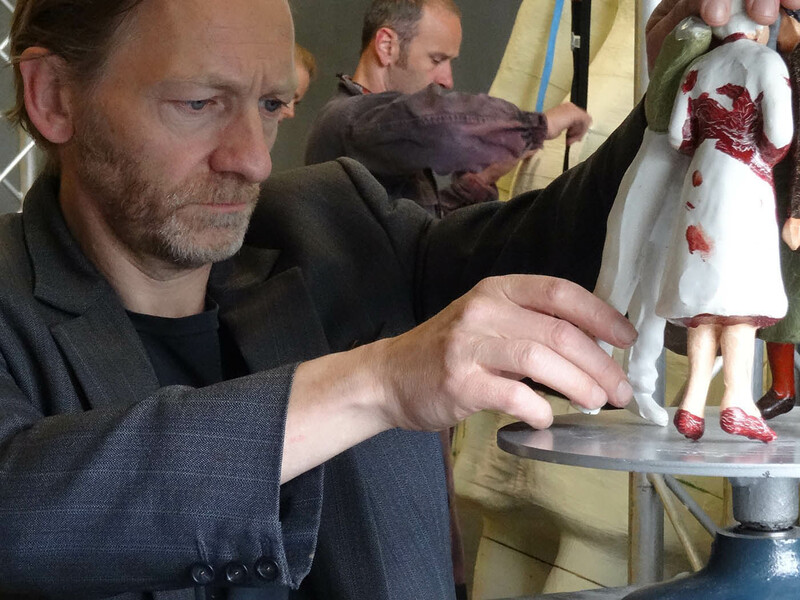 Using that scale model the artist determined the final composition. 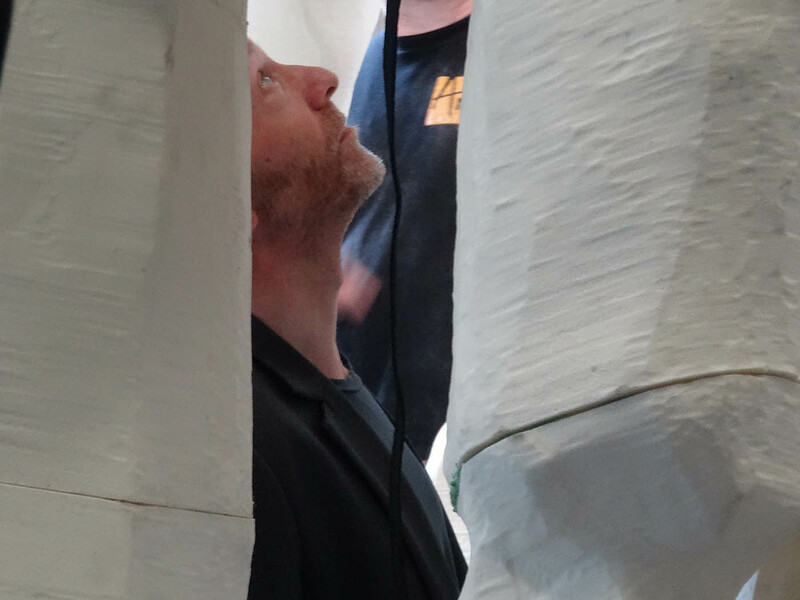 The enlargements were then cut out by robot at a height of 3m and worked into their final form under the close control of the artist. 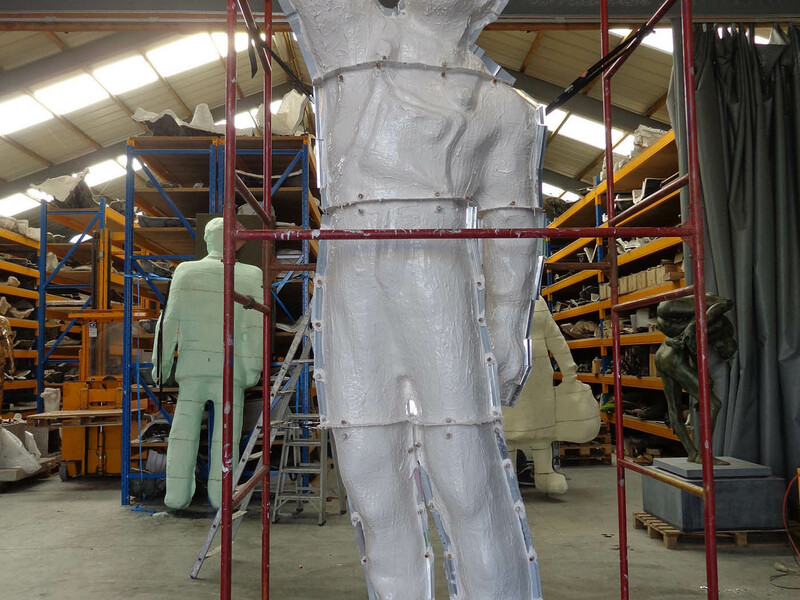 Our moulding team then produced silicone moulds. 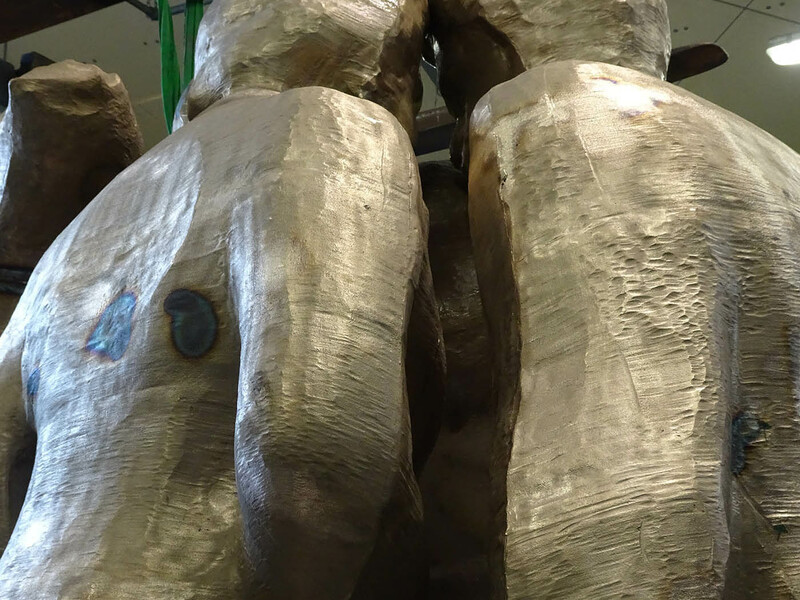 The bronze figures were cast and finished using the high-performance ceramic shell casting technique. 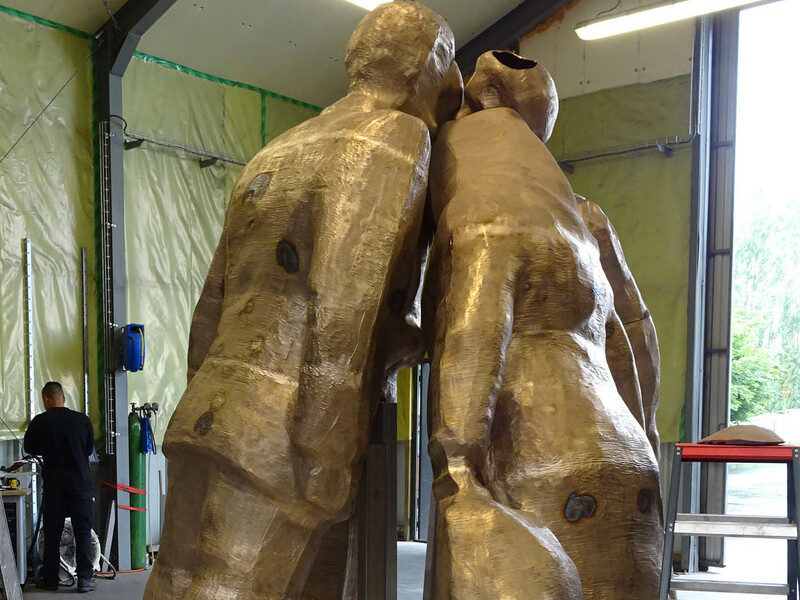 They were then given a base colour and transported to the artist’s studio to be painted. 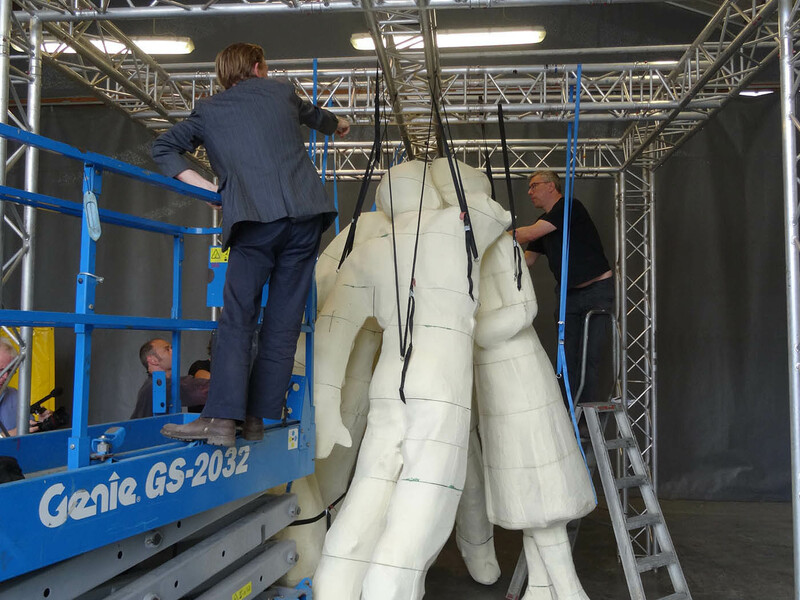 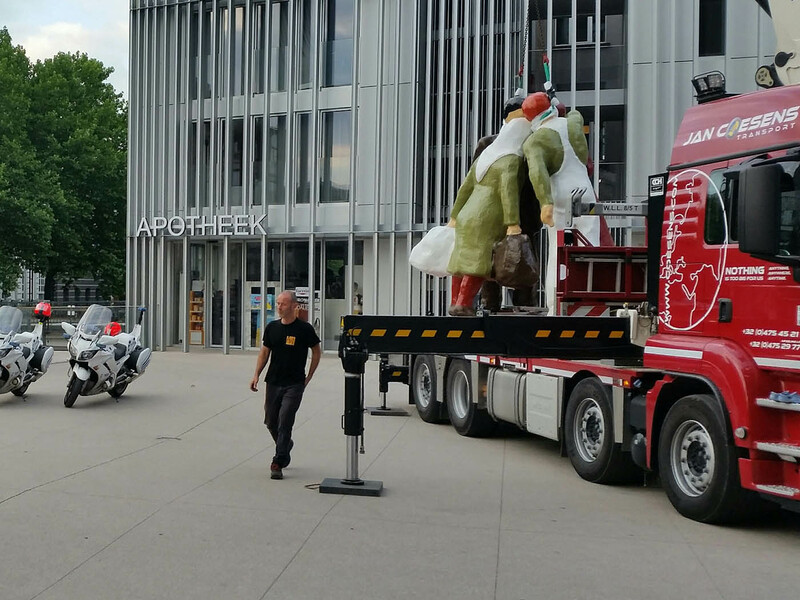 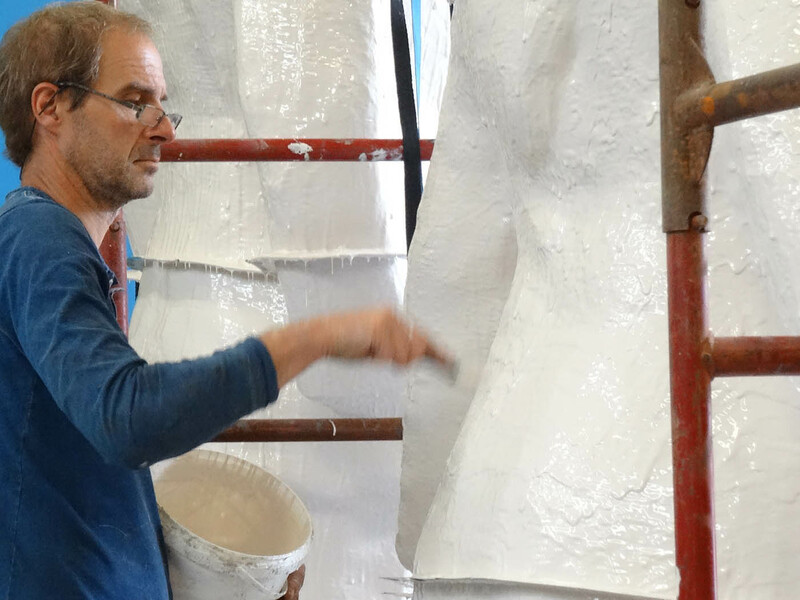 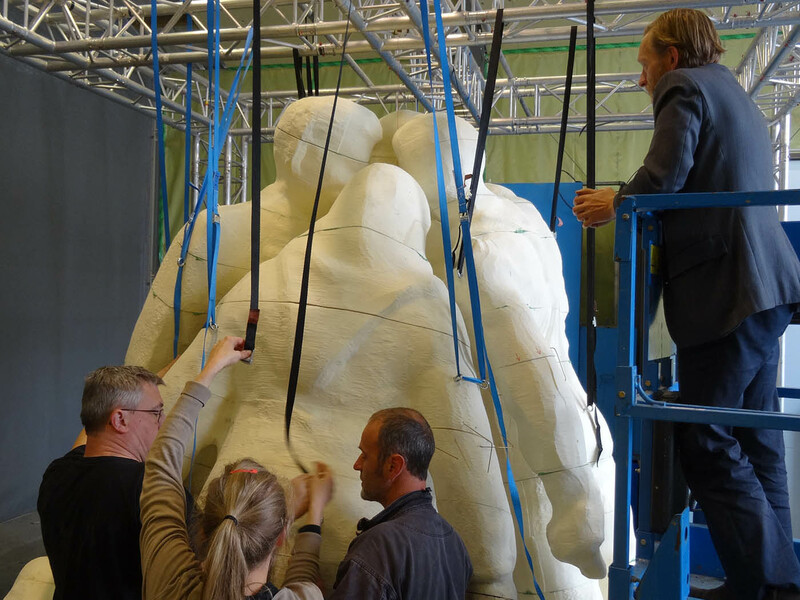 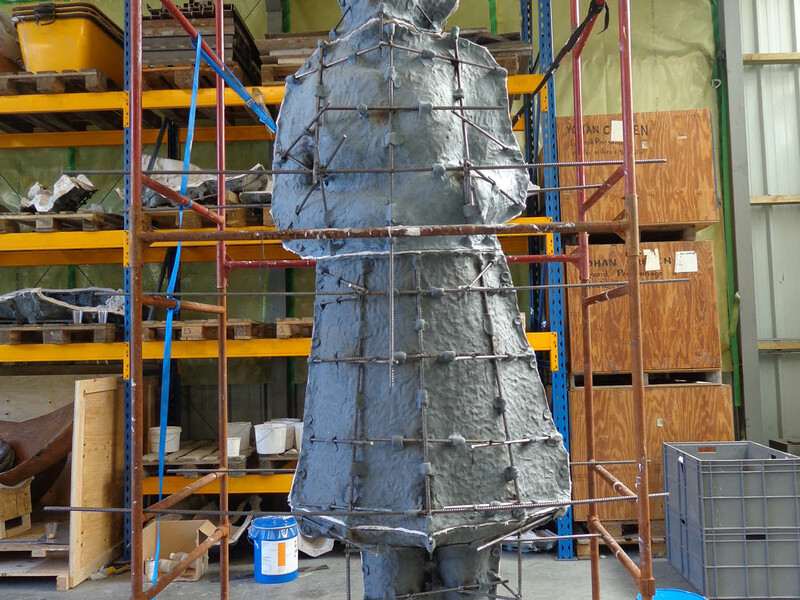 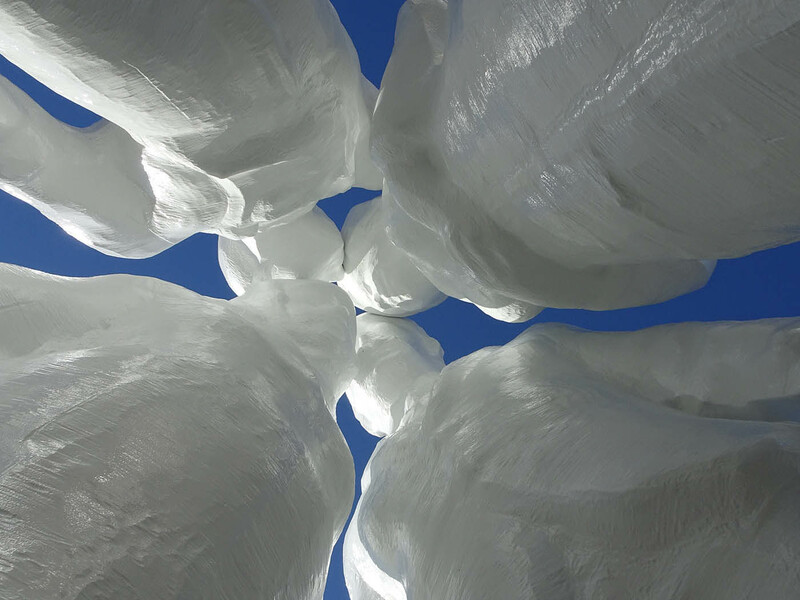 Art Casting also handled transport to and installation at De Krook.